Born: 29 March 1860, Stellenbosch, South Africa. Died: 15 April 1946, South Africa. Charles Murray, son of the Stellenbosch theologian Professor John Murray, studied at Stellenbosch College. In 1879 he was awarded the degree Bachelor of Arts (BA) by the University of the Cape of Good Hope and received the University scholarship in literature, the University scholarship in science, and the Porter studentship for that year. In 1884 he obtained the Master of Arts (MA) degree in Classics at the same university. In 1885 he married Marion E. Dale, with whom he had nine children. In January 1885 Murray was appointed assistant professor of classics and mathematics at Stellenbosch College (renamed Victoria College in 1887, later the University of Stellenbosch). He held this post to the end of 1888, and was the first student of the college to become a full time teacher there. In January 1889 he joined the Department of Education of the Cape Colony as deputy inspector of schools, and from November 1891 as secretary to the department. 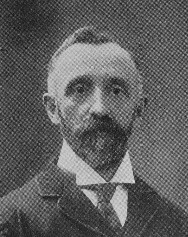 After the formation of the Union of South Africa in 1910 Murray continued as secretary to the Department of Education of the Cape Province. He served in this position until he retired around 1920. After the retirement of the superintendent-general of Education, Thomas Muir*, in 1915, Murray served as acting superintendent-general of Education of the Cape Province until 1918. From 1916 to 1918 he was a member of the council of the University of the Cape of Good Hope. Upon his retirement he was honoured by the British government as a Commander of the Order of St Michael and St George (CMG). South African who's who, 1908, 1909, 1917/8, 1923/4, 1927/8. University of the Cape of Good Hope. Calendar, 1880, 1884/5, 1916/7, 1917/8.